Inmate advocates said the proposed policy would have violated the privacy rights of female visitors. RICHMOND, Va. — Virginia is suspending a newly introduced policy that would have barred women who visit inmates at state prisons from wearing tampons or menstrual cups. Virginia Secretary of Public and Homeland Security Safety Brian Moran said Tuesday on Twitter that he had ordered an "immediate suspension until further review." The abrupt about-face comes a day after widespread media coverage of state prison officials' plan to ban tampons starting next month as a way to prevent contraband from being smuggled into prisons. Moran said he understands the worries about contraband, but added that "a number of concerns have been raised about the new procedure." "I feel it appropriate to immediately suspend the newly developed policy until a more thorough review of its implementation and potential consequences are considered," Moran said. ACLU of Virginia Executive Director Claire Gastanaga said the policy should be permanently put to rest rather than simply be suspended. And Phyllis Randall, a former chairwoman of the state Board of Corrections, sent Moran a letter Tuesday saying the policy "represents a major systemic failure and an admission" that Moran and Department of Corrections Director Harold Clark "have lost the ability to effectively keep contraband out of Virginia's prisons." 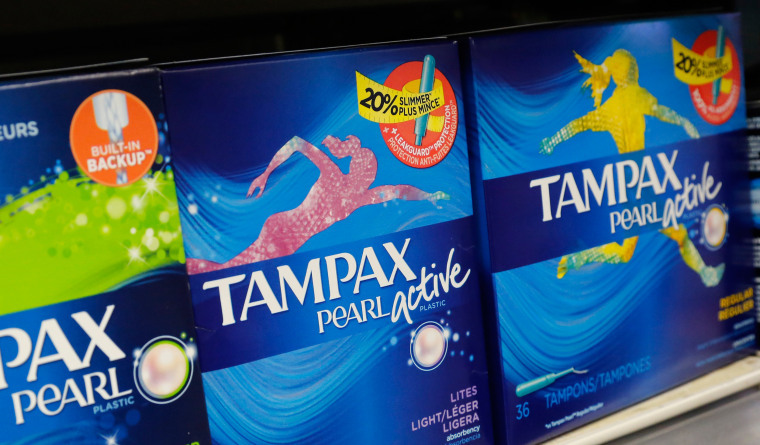 Corrections spokeswoman Lisa Kinney previously said that the agency had consulted with the state Attorney General's Office about how to implement the policy and "it was decided that facilities would offer pads to women who are wearing tampons while visiting a prison so the tampons don't appear as possible contraband on a body scan." She said that when potential contraband is seen on a body scan, visitors are offered the choice of a strip search or leaving the prison without visiting with an inmate. She said at the time that the new policy "aims to help visitors avoid that altogether." "Offenders in Virginia have died of drug overdoses while inside our prisons. It's our job to keep the offenders and staff as safe as we can," Kinney said.